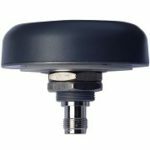 The TW3740/TW3742 is the ideal triple frequency GNSS antenna for numerous industries and applications, including mission-critical global positioning timing, precision agriculture, mining & construction, military & security, avionics, law enforcement, and fleet management. The TW3742 version of the antenna has an additional pre-filter that provides additional protection from near frequency and strong harmonic signals. The Tallysman TW3740/TW3742 covers the BeiDou B1, Galileo E1, GPS L1, GLONASS L1 and SBAS (WAAS, EGNOS, QZSS & MSAS) frequency band (1557 to 1606 MHz). 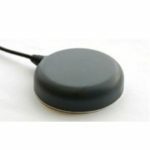 The antenna incorporates Tallyman’s Accutenna technology which provides truly circular polarized signal reception through the antenna’s entire bandwidth; this, in turn, provides superior multipath signal rejection. The antenna features a three-stage Low Noise Amplifier, consisting of one input LNA per feed, a midsection SAW to filter the combined output and a final output gain stage. 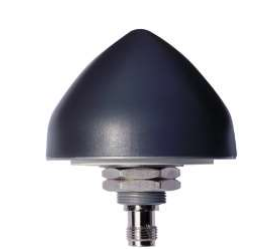 This precise and durable antenna has two mounting options available and is housed in a permanent mount metal base and a weatherproof enclosure. Axial Ratio 1 dB typ.